In spirituality, death is referred to as a transition from one state to another, from one realm to another – a rebirth, a change, a passing over, a coming Home. 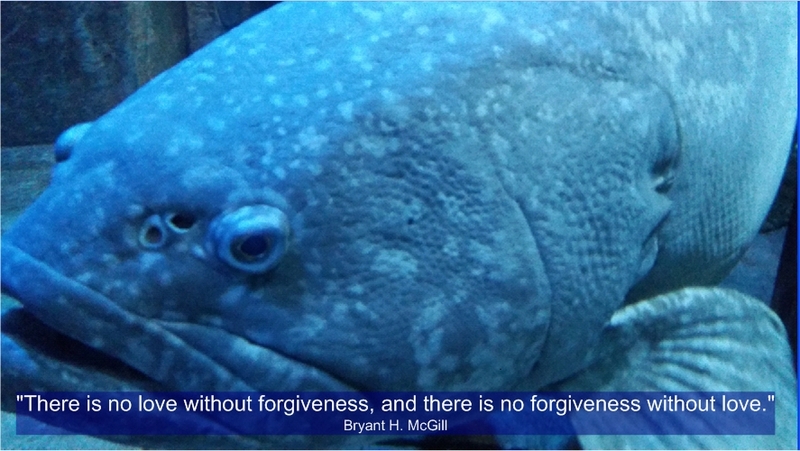 There are three phenomenal discoveries that defy the belief that death is the end of us. • The thousands of validated and documented cases of Near Death Experiences (NDEs) and Out of Body Experiences (OBEs). • The ability to astral travel. • The energetic and vibrational nature of the universe. Have you ever had a falling sensation just as you are about to go to sleep? This happens when your body has become very relaxed and you are on the verge of sleep, but your mind is not quite asleep yet. The next thing that happens is that the astral body (soul) realises this, and with an ‘oops’, quickly slips back into the physical body (before you supposedly noticed). This results in the physical sensation of slipping and falling back, like you have slipped on a banana peel. Birth and death are like two sides of the same coin. In the case of birth into the physical world, the umbilical cord connects the unborn baby to the mother. During our life on earth, our astral body is also connected to our physical body by a ‘silver cord’. This is why there is never a risk that if you ‘astral travel’ you may not be able to return to your body. It also means that no other entity or bad spirit can enter your body, while you are ‘out’. The silver cord is only severed at death, just like the umbilical cord is cut when a baby is born into the world. Some spiritual teachings have revealed that the soul ejects from the body just before the impact of a violent death, sparing the person the full physical experience. The physical body is made up of different life support systems. At the macro level, our body is comprised of nine biological regulatory systems that keep the human body humming along. It includes Circulatory, Digestive, Endocrine, Muscular, Nervous, Reproductive, Respiratory, Skeletal, and Urinary. Those body systems and body parts are made of connective tissue, muscle and fat, blood and flesh. What are the tissues and flesh made of? Cells. At the micro level, what are cells made of? Molecules. Quantum physics has shown that the physical universe is not as solid as it appears. The atom is mostly (around 99%) empty space and it’s structured like a mini solar system. What are atoms made of? Sub-atomic particles – protons, neutrons and electrons which have a positive, neutral and negative electrical charge and are bound together by electro-magnetic forces. What are subatomic particles made of? Smaller units called quarks and leptons, which have fractional electric charges. In physics, the Standard Model theory suggests that matter does not get smaller than this. But wait there’s more, Quarks are made of even smaller units called ‘strings’ (yes String Theory). What is the relationship between light and matter? Strings are eleven-dimensional (ten dimensions + time) bits of energy that not only make up the atomic particles but create forces including gravity, electromagnetism, strong nuclear forces, weak nuclear forces, and a few other forces that have not yet been discovered. Light is a very unusual and beautiful property. It’s been proven (through scientific experiments) that light is composed of wave forms called fields, and, particle forms called photons. How can light be both a wave and a particle? It depends on the oscillating (vibrational) frequency. A longer wavelength makes a lower frequency, while a shorter wavelength makes a higher frequency. According to the 20th century physicist, Professor David Bohm, matter is “frozen light”. That matter is composed of light was proved (beyond reasonable doubt) by Dr Grahame Blackwell in 2006, and published in his book Tapestry of Light – A Scientific Insight into the Nature of Material Reality. In 2001, a NASA program began to accurately measure the Cosmic Microwave Background radiation – the echoes of the Big Bang. A satellite was launched and by 2003 detailed radiation measurements were released. Their observations revealed a surprising composition of the universe. 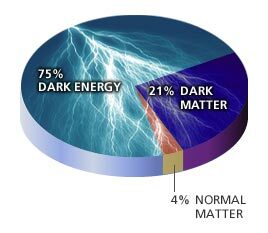 Energy and matter, as we know it, seems to only comprise 4% of the universe. The vast majority is unchartered territory which was observed as part matter/part energy. This pie chart show the proportion – 23% is dark matter and 73% is dark energy – the nature of which is not yet known. 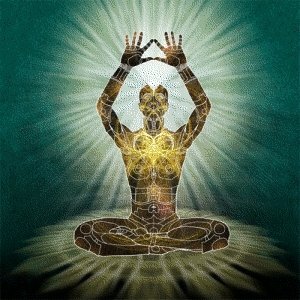 We are cosmic beings of light! ‘Spirit, mind and body, has a function that is unique to it and not shared with the other. What you see with your eyes and experience with your body is the physical world, which we shall call Body. Body is an effect, created by a cause. This cause is Thought. Valuable info. Lucky me I found your web site unintentionally, and I am stunned why this coincidence did not came about earlier! I bookmarked it. This is really attention-grabbing, You’re a very professional blogger. I’ve joined your rss feed and sit up for searching for more of your magnificent post. Also, I have shared your site in my social networks. You’re so awesome! I don’t suppose I’ve read a single thing like this before. So great to find somebody with some genuine thoughts on this subject. Seriously.. thanks for starting this up. This web site is one thing that is needed on the internet, someone with a little originality! Thank you. Enjoy your discoveries. You’re welcome and do return now and then, it’s a part time effort but I’m working on increasing the frequency of updates. Your words are touching my mind. I am one of your regular visitors and wana say Best of luck. Thanks very much. I hope I haven’t disappointed by being so inactive in 2015 but this year has a very different vibe for me and will produce more. Excellent website! I really really like how it’s easy on my eyes and the data are well written. I’m questioning how I could be notified each time a brand new publish has been produced. I’ve subscribed to your RSS which must do the trick! Have a nice day! Hi Sidi, I am glad it’s easy on the eyes as that is exactly what I wanted to achieve. It’s a pleasure to serve in this way. For now, please return now and then as this website will grow. The entire world really ought to examine considerably more of your mouth, you’re a productive article author. Maintain writing. Many thanks expressing your own talent. You could certainly see your skills in the article you write. The sector hopes for more passionate writers like you who aren’t afraid to say how they believe. All the time go after your heart. I am in fact happy to read this website posts which contains tons of valuable facts, thanks for providing such statistics.